◆The theory and method of 3D simulation and ergonomic design. ◆Advanced digital control system, strong LCD function, convenient pipe disinfection system, practical water shortage warning system. ◆New instrument arm with 2sets ball bearing ensures high performance, air locking system for easy manipulation. ◆Automatic pressure clean water system. ◆Only 9seconds for backrest to move from lowest point to highest point. ◆Chair safety system can prevent chair and unit work simultaneously. 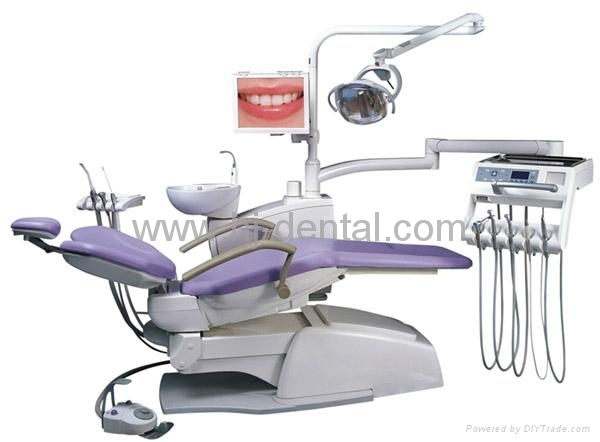 In addition safety system under backrest and base plate ensures operation safety. 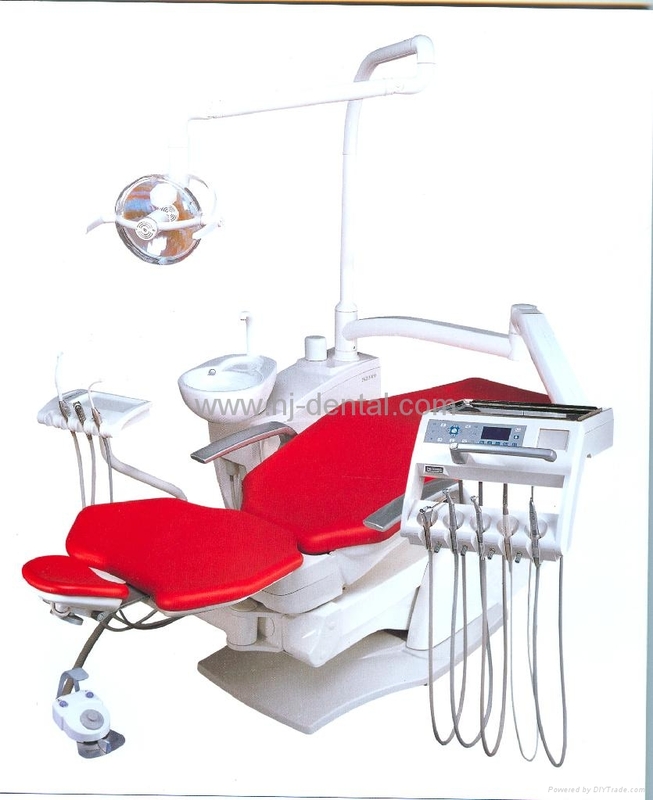 ◆The multi function foot controller can control the operation light and handpiece speed and the chair movement.